All I want is to be left alone in my average home. I always feel like somebody's watching me (and I have no privacy). 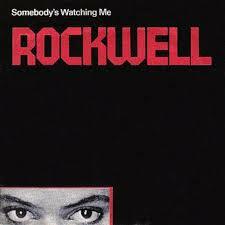 If you were around in the ‘80s and spent much time in front of the television watching MTV you’ll recognize those words as the opening lyrics to Rockwell’s Somebody’s Watching Me, a one-hit wonder that lovingly capitalized on the Michael Jackson Thriller phenomenon. That song came to mind as I was reading a brief report in Intellectual Property Watch this morning following the Media Trends Conference at Webster University in Geneva. The theme of the 2014 event was “Media and Privacy Invasion,” examining the media’s role in broad surveillance. While I agree that it may be too late to “rein in the machine,” the idea that we should resign ourselves to a future of total surveillance seems to me a bit defeatist. First, let’s divide the landscape into two primary areas of concern: surveillance in the public and private realms. On the public side, there are few who would argue that, since Edward Snowden’s disclosures, the U.S. government’s domestic intelligence gathering efforts have not far exceeded their reasonable limitations. Call data collection, demanding data from private organizations, secret courts and rubber-stamp warrants with a callous disregard of Fourth Amendment restrictions on search and seizure. We should expect and demand more from our public servants than entitled arrogance bred in the dark. On the private side, public demand for service capabilities that pay off on the promise of convenience compel the collection and analysis of data for the purpose of delivering innovative new products and applications. Data collection by private companies is limited by law and the “invisible hand” of the market. Transgress and regulators may levy fines and penalties; customers may abandon ship. The two are not the same, as Google has argued. But if we can demand better of the companies that want our business, we should also demand better of the government that purportedly exists to serve our needs. Resign ourselves to total surveillance? Oh, what a mess. I wonder who's watching me now (who? ), the IRS?